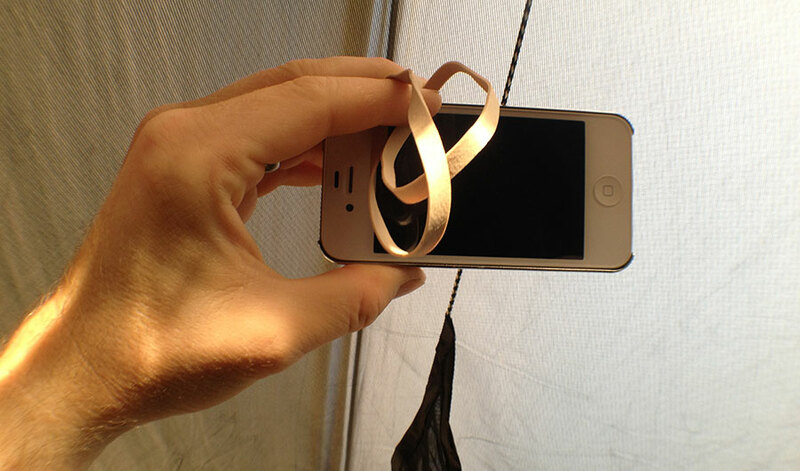 This hack isn’t particularly new—folks have been conjuring up ways to hang their smartphones to a ridgeline ever since smartphones were common enough to be brought camping (after all, who doesn’t want to watch a little late night movie before slipping off to sleep?). This particular method surprised me when I tried it because it worked so easily and effortlessly. I was just lying in my hammock brainstorming ideas when I thought of using a few of the thick rubber bands I often bring with me on trips. It turns out that the rubber bands worked perfectly. With one rubber band, I can hold my smartphone in portrait mode. I could use just one rubber band to hold it in landscape mode, but I found that two makes it more stable. 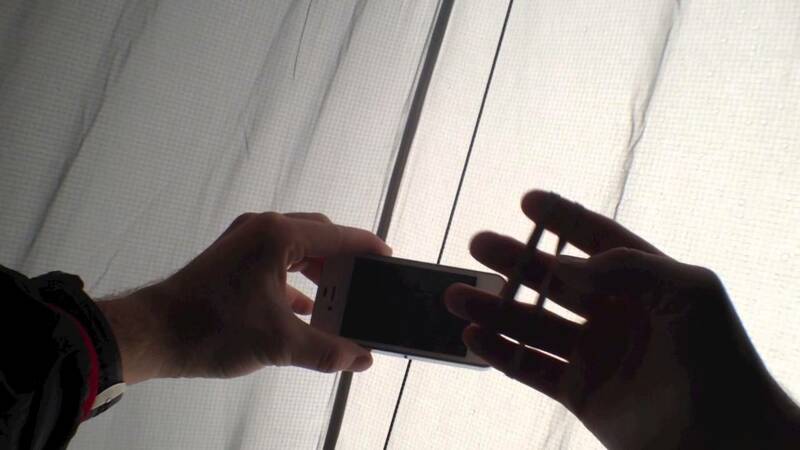 To make this work, simply hook a corner of the smartphone with the rubber band then feed the rubber band over the top of the ridgeline and then hook the opposite corner of the smartphone. Do the same thing on the lower two corners with the second rubber band and you’re done. 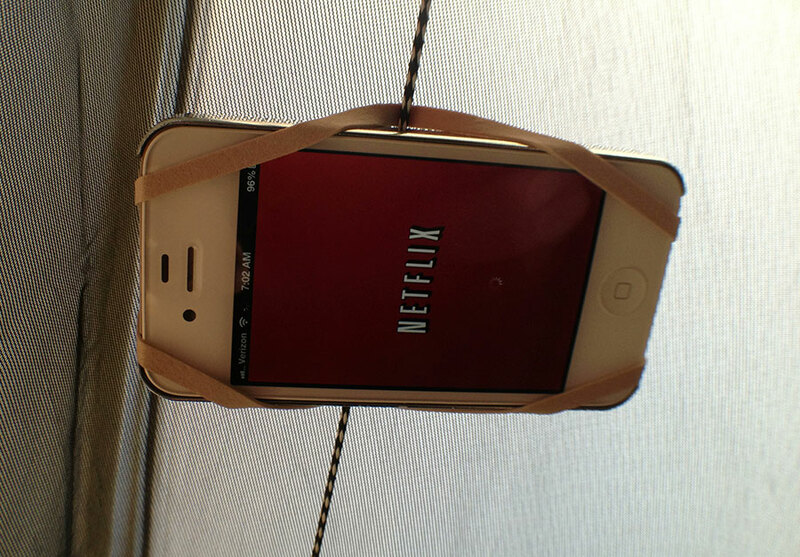 Now you can enjoy Netflix at home or movies in the backcountry, all hands free. Very nice! I have been using Duct tape but NO MORE…. 🙂 Thanks.